Are you one of those people who love watching HGTV? Do you find yourself clinging to your armchair in anticipation of seeing the final transformation, as well as the homeowners’ reaction? Although these shows are not truly “reality,” believe me I’ve built a bathroom in “three days” for the DIY network, it does give you a glimpse into the glamorous life of a design build contractor. I’ve been building and remodeling homes for more than twenty-five years, for a company that’s been around for more than thirty-five years, and I still cling to my chair at reveal time. Like all great reality shows, the delight of what I do for a living is all about the characters and their passion for fulfilling their role in the story. First you have the homeowners. They are a diverse group from all walks of life, every demographic, every lifestyle. Each homeowner’s unique needs and wants coupled with their relationship with the home’s other occupants provides for many fun and dynamic scenes. Then you have the design team, made up of a group of truly creative people who are out to make the entire world a more beautiful and efficient place. The possibilities seem endless and the ideas float around the room like large snowflakes. There’s always a level of excitement, while designing and selecting products, but also a sense of anticipation for the ideas to come together in real life. The construction team is made up of some of the most interesting players of all. Truly talented craftsmen and women who are committed to doing whatever it takes to create the dream that’s been so meticulously designed. You’ll see them crawling in the dirt, climbing around on rooftops and working in extreme heat and cold. Their deepest desire? Having a homeowner lovingly care for their creation. I’ve been fortunate over the years to work with some of the most amazing and talented people, creating some truly incredible friendships along the way. Building and remodeling homes is what we do, but the relationships make us who we are. 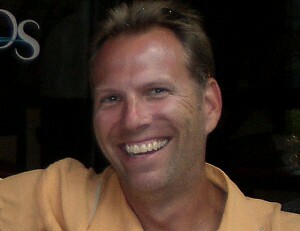 Ed Roskowinski is General Manger and VP of Vujovich Design Build, Inc., a 35-year design build firm specializing in building and remodeling unique Twin Cities homes for unique homeowners.